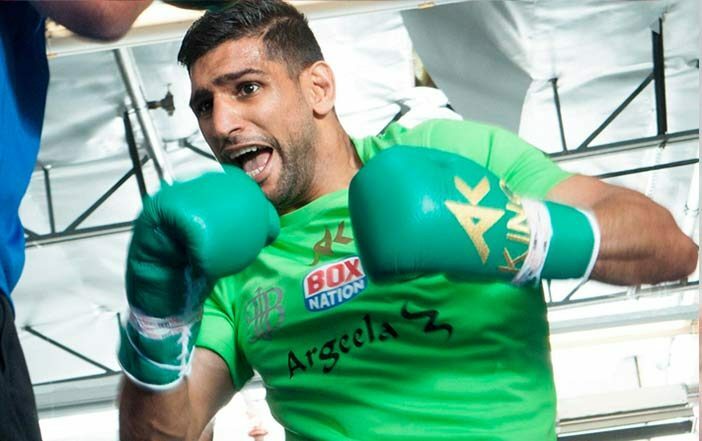 Amir Khan has signed a three-fight promotional deal with Matchroom Boxing – and returns to action on April 21 at the Echo Arena in Liverpool, live on Sky Sports. The former unified Light-Welterweight World champion and GB Olympic silver medal man is back in the ring following a successful appearance on reality show ‘I’m A Celebrity… Get Me Out Of Here’, and now Khan is focused on ruling the world once more – starting on Merseyside in April. Khan’s last outing was back in May 2016 when he stepped up to Middleweight to face Mexican star Saul ‘Canelo’ Alvarez and the 31 year old is back on Sky Sports for the first time since beating Devon Alexander in Las Vegas in December 2014 and a first fight in England since beating Julio Diaz in Sheffield in April 2013 – with the popular Bolton man determined to get back into World title action as soon as he can, with an opponent for April 21 to be announced soon. “I’m thrilled to be teaming up with Matchroom,” said Khan. “This decision is not one I’ve taken lightly, as I’m at a hugely important time in my career, but having spoken to Eddie at length, it was clear he and I were on the same page in terms of what I want to be doing and what I still want to achieve. I’m determined to win another World Championship and I’m confident I’ve got the right team behind me to help me do so. “Just as important a factor was the opportunity to fight in the UK for the first time in seven years, and to do so with the support of the British fans and Sky Sports behind me. British boxing is in such a good place and I genuinely can’t wait to get back in that ring with the incredible home support behind me. Khan teams up with Matchroom supremo Eddie Hearn, and his new promoter setting out the plan to land huge fights for Khan. “I am delighted to welcome former unified World Champion Amir Khan to the Matchroom Boxing and Sky Sports Boxing team,” said Hearn. “Amir is one of the biggest names in the sport of boxing and his return on April 21 will be the first time he has boxed in the UK in seven years.